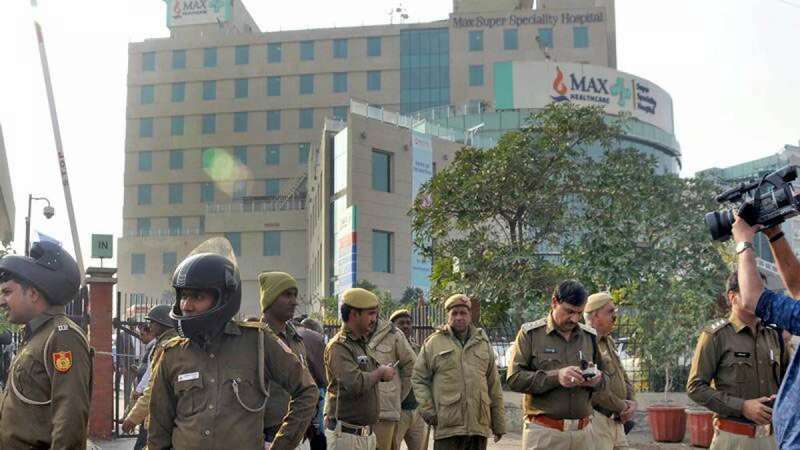 New Delhi : A 22-week premature baby, who was wrongly declared dead by the city's Max Super Specialty Hospital on November 30, died here on Wednesday. The family is demanding doctors of Max Hospital be arrested for negligence. The baby was undergoing treatment at North Delhi's Agarwal nursing home, where he died, his father, Ashish Kumar, confirmed. "Doctors declared our baby dead at 12 p.m. However, we will not receive the body as we want the doctors of Max Hospital to be arrested first as they had declared our baby dead earlier," he told IANS. He said the family members will hold a protest till their demand is met. In the preliminary investigation by the Delhi government, north Delhi's Shalimar Bagh-located Max hospital was found guilty of not following the prescribed medical norms in dealing with a 22-week premature newborn, due to which he was declared dead on November 30 while he was still alive.